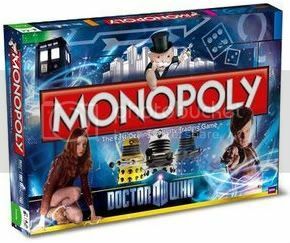 Monopoly is about to have a Doctor Who makeover this summer, with Hasbro releasing a version of the long-lived board game dedicated to the Time Lord. Listed by Forbidden Planet, the game is limited to 5000 copies, and will feature "all your favourite heroes, villains, monsters, planets and places." It is due to be released on 1st August 2011.